A Criminal Obsession: Are You Guilty, Too? I’m not sure what I was looking at the other day, but for some reason I suddenly realized (“suddenly realized” is a phrase I would warn you away from in your fiction) that my mind and life are consumed with the subject of crime. I would make a lame criminal. While I’ve had my brushes with Johnny and Jane Law, I’ve only ever almost been arrested (juvenile offenses, and minor ones at that—let’s leave those to your imagination for now). I’m a terrible liar, meaning that I have a very hard time lying without immediately giving myself away. No poker face for me. I blush and stammer and can’t help but laugh nervously. I can feel my heart speed up and my blood pressure rise with the red in my face. Suffice it to say I would never bother to try to fool a polygraph. I’d like to say I can’t lie because of my ironclad moral code, but I suspect it’s more a lack of self-confidence. Not long before I stopped reviewing professionally, I was a Best Novel judge for a major mystery fiction award. Talk about a baptism by crime fiction fire. I was given hundreds of mystery novels, and read a huge number of them. It felt like a whole new world to me. There were tropes and rules, and so many plots. Did I say I read them? In truth, I devoured them. In younger days, I’d read an Agatha Christie here and there, teethed on Poe, Patricia Highsmith, and Jim Thompson. And lord knows I watched Columbo, MacMillan and Wife, the Rockford Files, and David Suchet’s Poirot until my eyeballs dried out. But I never knew there was such variety in the form. So many crime/mystery niches. So much comfort and exercise for my brain in one genre. Comfort and exercise. Now, there’s an odd combination. I like to tell my workshops that all good works of fiction are essentially mysteries. The mystery is the unfolding of the story. Only the author is absolutely certain what will happen before the last page is turned (or in the case of a thriller, the why is more evident, and the how is the mystery). The reader is constantly imagining what might happen next, making up her own possible scenarios that might finish the story. A good book poses at least one question at its opening, and answers it by the end. The challenge for the reader is to try to get inside the writer’s head and know where she is going at least a heartbeat before the story takes her there. Why, why, why, why, why? The reader constantly asks. Every sentence has to have some kind of answer. 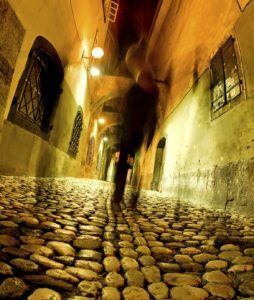 If you read enough mysteries or other crime novels, or if you watch mysteries on television, you will definitely be able to predict with some accuracy what the outcomes will be. That’s where the strange comfort comes in. There’s comfort in knowing a crime or mystery has been solved, or comfort in knowing it hasn’t, but that the truth rests with one of the characters we’ve met. Or that someone is punished. You can’t always get that kind of satisfaction in real life. Closure in real life can be protracted and painful, or non-existent. Not long ago I gave an emerging writer a critique on a family drama novel. The writing was fine, and there was some decent tension in the story. But I found myself wanting to suggest heightened drama and perhaps the introduction of…a crime. Neither the writer nor her intended readers would have much liked that. I fear I am ruined for everything but crime stories. I want high stakes. I want to live in the head of someone who looks at the world through a lens of twisted intensity. I want things to happen, frequently and with vigor and unintended consequences. My husband has been teaching creative writing in various universities for three decades. If I were to crystalize his advice to his students, it would be: Don’t bore me. That’s the thing about crime fiction. It’s rarely boring. If I want quiet intensity, I can read Louise Penny. Rhys Bowen and M.C. Beaton are available for deadly shenanigans. Patricia Cornwell and Kathy Reichs are immersive. John Hart and John Connolly give us unforgettable characters. Reed Farrell Coleman and Cormac McCarthy are full of grit. Lindsay Faye and Susan Elia MacNeal offer historical secrets. I could go on all day. Crime-centric television is my playground. In the past two years I’ve watched the entire Poirot, Midsomer Murders, Prime Suspect, Inspector Morse and Inspector Lewis series. Also True Detective, The Fall, Vera, Worricker, Bosch, Blue Murder, Grantchester, Whitechapel, Touching Murder, Broadchurch, and a truly embarrassing amount of Nordic noir (not an exhaustive list). We also watched The Detectorists (charming, not a crime series) and Galavant (musically charming), though I could barely sit through the Galavant songs. Almost no one dies! This coming year, I’m going to make a sincere effort to read more widely and watch with a mind open to non-crime possibilities. I thought I’d start with Silence by Shūsakū Endō. 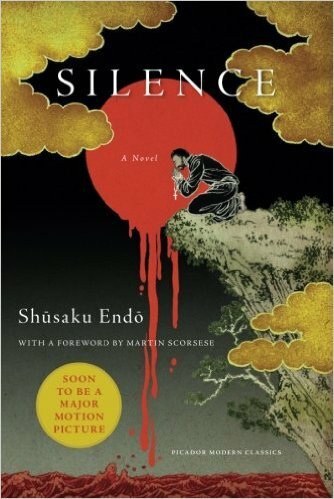 Martin Scorcese has directed a film adaptation of the novel, which is about two Jesuit priests who travel to 17th century Japan to find their missing mentor. Christianity has been outlawed, and its adherents are persecuted and tortured. It sounds plenty intense, and the stakes couldn’t be higher. But it at least can’t be categorized as crime fiction. Right? What genres make up most of your reading and viewing? Are you single-minded, reading mostly in your chosen writing genres, or do you read and watch widely? Laura Benedict’s latest novel is The Abandoned Heart. It’s full of crime and suspense.